Open Badges is the leading standard for digital credentials originally developed by Mozilla and now managed by IMS Global Learning Consortium®. It's now a popular and widely-adopted standard used by many organisations involved in skills, education and training. Openbadges.me is IMS-certified for Open Badges v2. We're doing some really exciting work with Open Badges that we'd love to share with you. Why not subscribe to our newsletter to keep up to date? Openbadges.me provides a versatile, secure and easy-to-use way of quickly implementing Open Badges and Digital Credentials. Explore your specific organisation requirements below. Providing a digital certificate and a badge for your qualifications enables your learners to be more widely recognised for your qualification. A digital badge can be shared and used in multiple ways in our modern digital world. 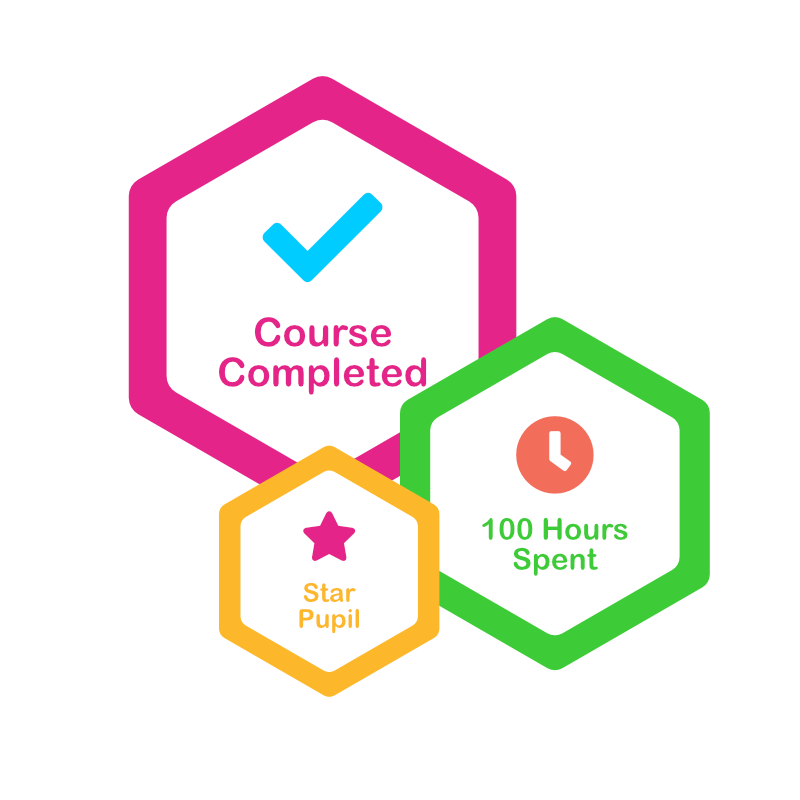 Create different badges for small steps in your training programs, so that learners can be recognised and motivated for achieving specific outcomes, building to your overall completion award. Upgrade from printing and mailing paper certificates to digital certificates supported by a portable badge credential. Save time and money while improving the service and value you provide your users. Discovering your learner's skills and competencies becomes much easier and valuable to the learner if you have provided them with a digital credential that they can share widely. A modern digital credential or digital badge becomes recognisable, discoverable and verifiable evidence of professional mastery and/or completion of a training program. Easily create communities of users for your events and conferences where your attendees can all identify shared experiences via their badge, display on LinkedIn and generally indicate that they are proud members of your community. Implement digital badges and certificates without the disruption of replacing your existing processes and systems. Use our advanced APIs and plug-ins to seamlessly integrate with your existing workflows. This option gives access to a more advanced graphic designer tool and provides a Save option. In addition this option gives access to a full range of open badge definition and issuing functions. The full range of functions available for this Free option is shown on the Pricing page.